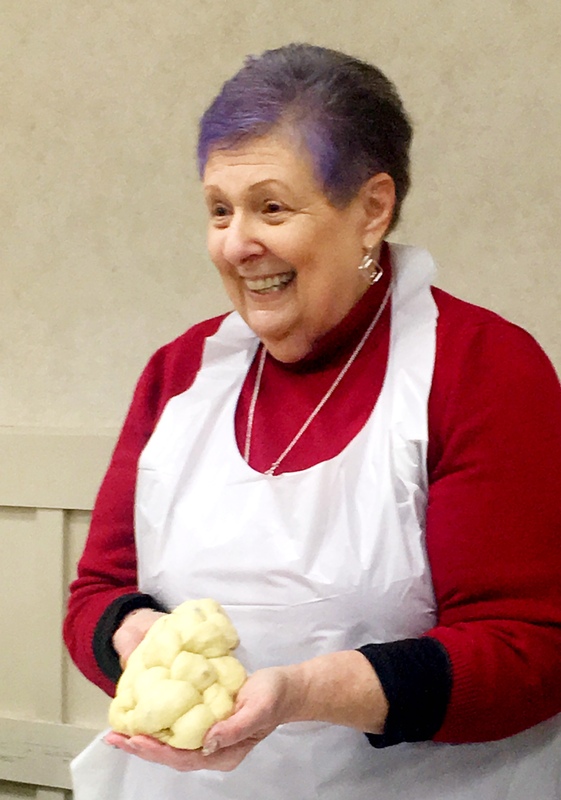 Tikvat Israel congregant Beth Smith led a challah-baking workshop on Feb. 3 for the Women’s Network. She not only shared her recipes and knowledge of bread making but showed the group of 26 women and two men several different ways to braid challah. 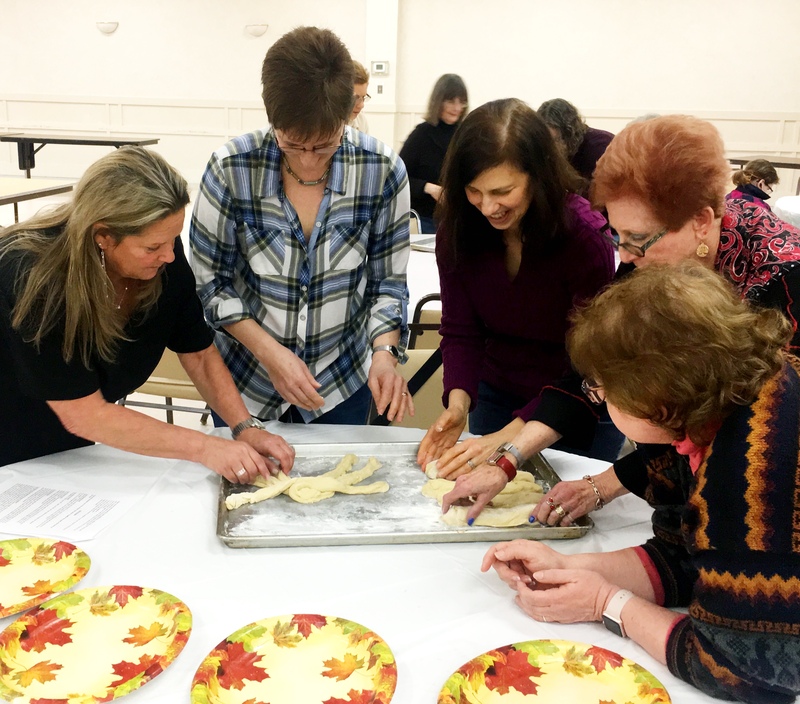 Each participant braided their own challah to take home to bake, with some making circular challahs and others braiding challahs with three to six strands. In upcoming activities, the Women’s Network Book Group will meet Feb. 20 at 7:45 pm, right after 7:30 pm minyan. 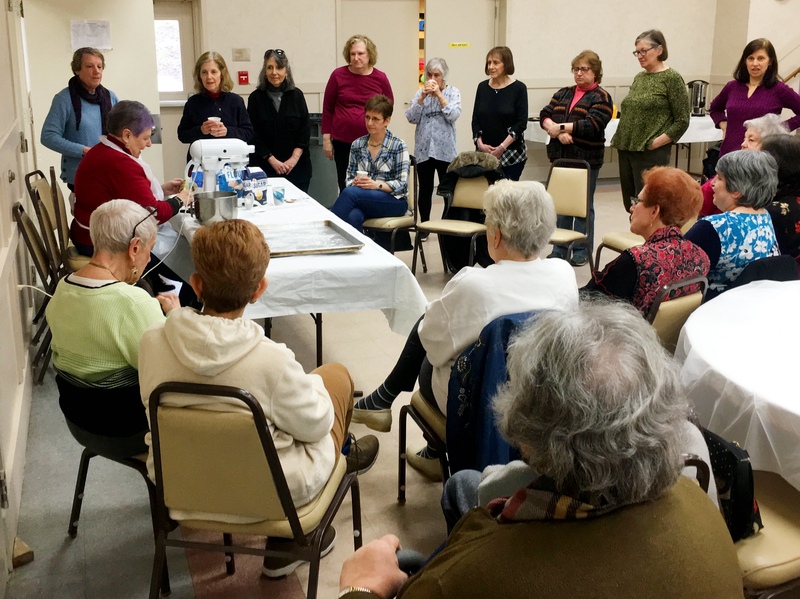 The group will discuss Lynda Cohen-Loigman’s “The Two-Family House.” On March 9, members of the Women’s Network will lead services at the 1st Annual Shelly Goldin z’l Women’s Network Shabbat. The guest speaker will be Ariele Mortkowitz, founder of Svivah, a local organization inspiring, supporting, connecting and celebrating Jewish womanhood. Svivah believes a Jewish community is made stronger by enriching the lives of its women. On March 10, the Women’s Network will create Purim Masks with Shirley Waxman. Watch for details for all of these events.